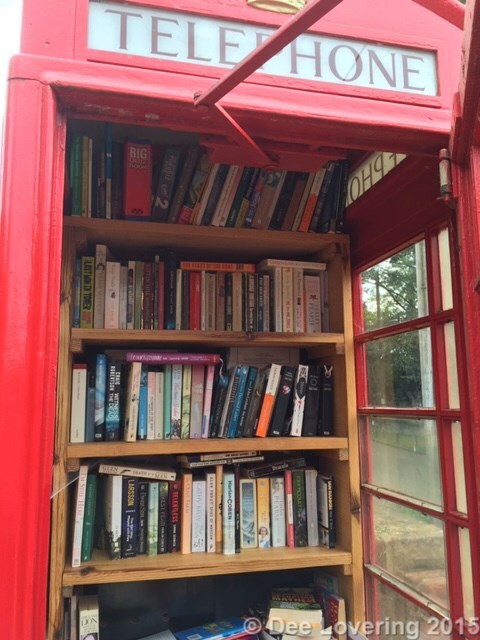 We came across this old telephone box that had been converted to a library, in a little village in Berkshire. The old telephone had been removed and the villagers had added shelves and books they had read. You may take a book to read, as long as you return it when you are done. There are books in there in suit all ages and tastes, what a brilliant idea! This entry was posted in books, library, reading, village life and tagged books, trust, village library by Dee. Bookmark the permalink. Now that is the smallest library ever. Wonderful fun. I just adore your photo. The telephone box/library is beautiful! What a great idea! Around here, people are putting in little bookboxes about the size of a large square mailbox, with a glass door in the front. People can take a book or put one in. It’s pretty cool. Did I type “Janey?” It’s me, Janet. But it’s still a great idea. I’ve been replying using my iPhone and that’s what happened. Also predictive text causes problems, it comes up with some words I’ve never heard of and if you’re not quick off the mark you can ‘say’ all manner of things. Congratulations! I have selected your photo to be featured on Cee’s Odd Ball Challenge. I sure hope you have a fabulous week! Hi Dee, you are so very welcome.